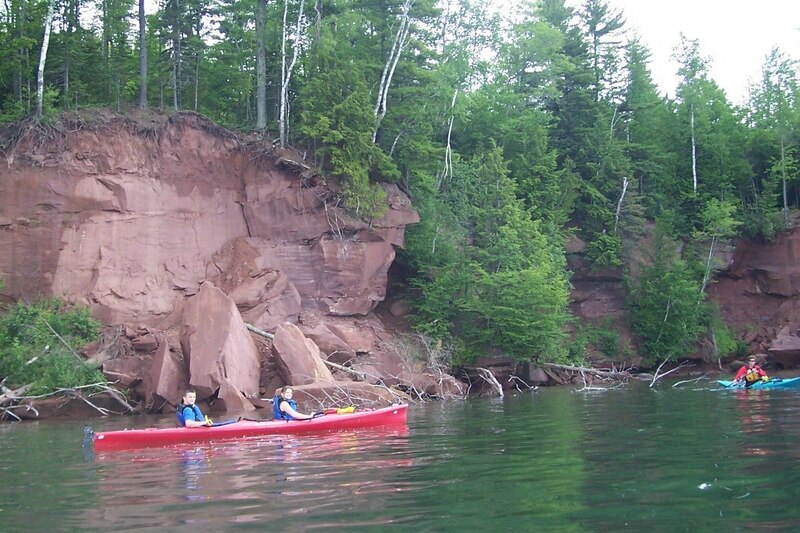 The weather has finally cleared in the Upper Peninsula and the winds have settled down, making it a good day for paddling on Lake Superior and elsewhere. Spent Monday in the Sylvania Wilderness Area near Watersmeet in the western U.P. paddling Clark Lake. The area is a great place for familes to canoe camp, gentle paddles, warm inland waters for swimming and fishing.